Home » Articles » Wellbeing » Complementary and Alternative Therapies » What is Sound Therapy? All of these and many other instruments from around the world are used to balance the internal flow of the body. When the body is out of balance illness, fatigue and depression can set in. This is how Sound Therapy can help the healing process for many mental and physical conditions. Everything in the Universe down to the smallest atom and even to the quark, is vibrating continuously. Obviously this includes every part of our body vibrating to a certain rhythm or frequency. Sometimes the frequencies can get disrupted by the constant pressures of the modern world we inhabit and work in. Sound starts as a vibration which is then converted by our ears and sent to the brain as a sound. Sound therapy uses the vibrations to relax the body so that it may start healing naturally from within. Metal or crystal bowls which are struck or rubbed with a mallet producing both sound and vibration. They produce different frequencies depending on weight and size and method of manufacture. Gongs are often used in a Gong Bath on their own. 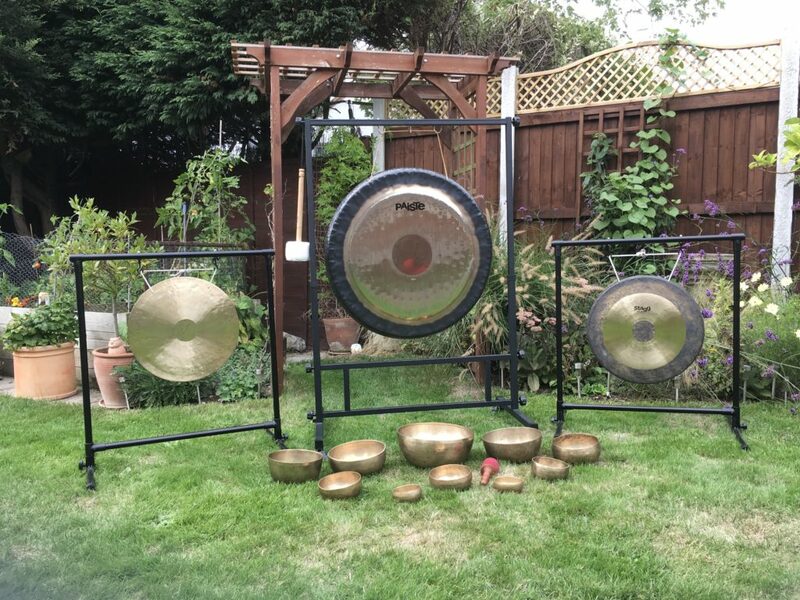 Different types and sizes of gong produce different sounds and vibration. 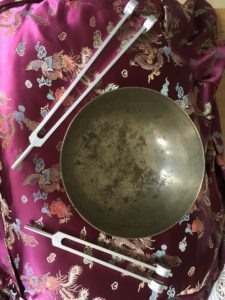 Sounds generated by tuning forks travel as vibrations and stimulate the production of nitrous oxide in the body causing relaxation of muscles and lowering of blood pressure and stimulation of the immune system. The deep rhythmic drumming of a Shamanic drum can be played around and over the body. The vibration can be felt deep within the body and mind. The voice is an extremely efficient and cost free Sound Healing tool! It can be used in chanting, singing, laughing and shouting and the vibrational effect can be felt throughout the body. Different therapists use a diverse selection of instruments to achieve the end result. Other instruments used are ocean drums, rainstick, chimes, didgeridoos, flutes etc. But all do a similar thing. In a group Sound Bath, all the attendees lay on yoga mats or similar and can be covered with a blanket. They spread out around the room. The Sound Therapist or Gong Master will then start with some gentle meditation or breathing exercises to relax everybody before starting. They will then play the instruments for about an hour, walking round the room with some and playing above the attendees. The idea is to relax totally with eyes shut and listen to the sounds diminishing to silence. 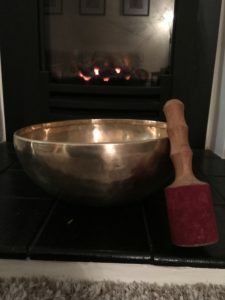 In a one to one Sound Bath, similar techniques are employed but one or more bowls may be placed on the body so that the vibration is more direct. Steve Sparrow, based in Colchester, Essex is the proprietor of Soundwaves Body Tuning. 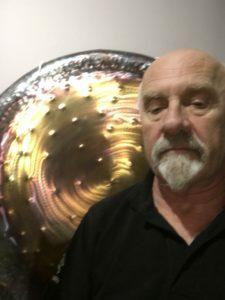 Steve combines his experience and qualifications as a Swedish Massage Therapist and Sound Therapist to offer what he describes as a unique therapy which will help you feel totally rejuventated. For more information, contact Steve by email: stevesparrow288@gmail.com or telephone: 01206 230285 / 07876 775195.